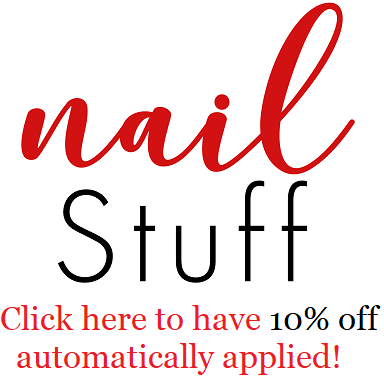 Intense Polish Therapy: SPROUT NON-TOXIC polish Review part 1. SPROUT NON-TOXIC polish Review part 1. Hey everyone ! Today I am gonna be doing a review on a NON-TOXIC brand of nail polish. The brand name is SPROUT, the polishes are made in the USA & come in a variety of different colours. The colours they sent me are Amped Up Red, Black Stardust, Pearl White Snow & Starry Night. So lets get into the review. Starry Night is a beautiful Non-toxic polish that has a blue jelly base with blue glitter. I must admit the first coat was weird. Working with non-toxic polish, well at least these ones(my first non-toxic polishes) they didn't apply very smoothly. They are a thicker consistency, & they're just a new experience that you have to get used to. The first coat applies a bit patchy but the second one fills in all the blanks. & the removing process is different to. I just used normal nail polish remover & they way the polishes removed were different to they almost peeled completely off. & came off in patches. Starry Night is most definitely my favourite out of all 4. Amped up red is a bright creme red & Pearly Snow White is a shimmering white. With the these two polishes you will notice that they formed larges cracks while drying. I am not 100% sure why they did this, I am not sure how they would look with top coat. I wasn't sent the Non-toxic top coat so I didn't think it would be fair or right to use a regular top coat on them. & Frankly i wasn't sure if they would react differently if I did. So just to be safe all these picture have No Top Coat. Now I sort of have a theory why they cracked, & what I think might have caused it, is because I apply thick coats so when the first coat drys & its not completely smooth that when you apply another coat & you have more in a certain place that is where the crack forms. This is Black Stardust. & this is such a beautiful polish, I can't believe that it cracked. I really liked it. This one was a bit more weird because the cracks aren't as noticeable. & This one was easier to apply then the other two that have large cracks. I really loved the concept of Non-toxic polish however I would love them even more if they didn't crack. I can't ignore how bad they cracked just because they are non toxic. I am gonna be retesting these maybe in a week or two after some practice to see if there is anything I can do to help make the cracks smaller. So there will definitely be an update post, which will be part 2. Does anyone else own any Sprout polishes? Have these products cracked for you? If not what'd you do ? Please let me know if you have any other non-toxic brands & how well they work for you. Oh, wow! I just love that first one!